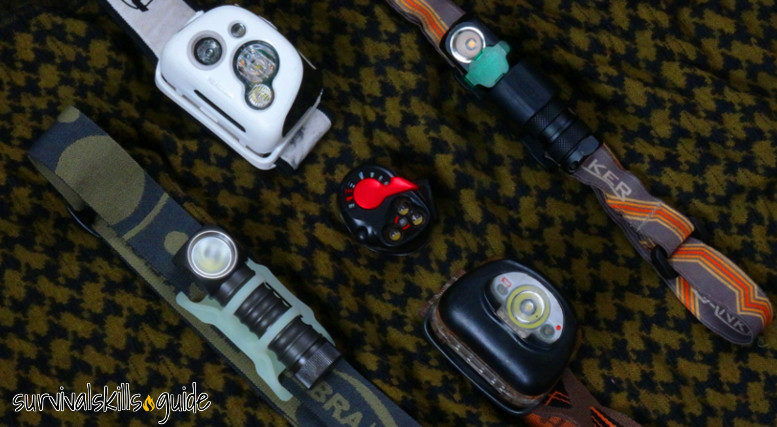 Headlamp or Flashlight for your Bug Out Bag? There is no doubt that headlamps are the most versatile and practical. If you ask any experienced backpacker or mountaineer they will tell you to pack a headlamp. If you need to use both hands for some tasks, you’ll need a headlamp. Some of the lights I mention at the bottom are usable both as headlamps and flashlights, so you get the best of both worlds. Having a headlamp with a long battery life is crucial. And being able to choose different brightness levels can expand the run time. In an emergency, conserving battery could be a big deal. This is where dimming comes into play. It’s very important for me to be able to turn the headlamp on at a very low setting and then If I need more light, increase the brightness, not the other way around. Nothing ruins your natural night vision faster than a bright light. I always use the dimmest settings to preserve my natural night vision; this also conserves my peripheral vision and awareness, as well as my ability to see outside the range of my light. Light colors are useful for different situations. 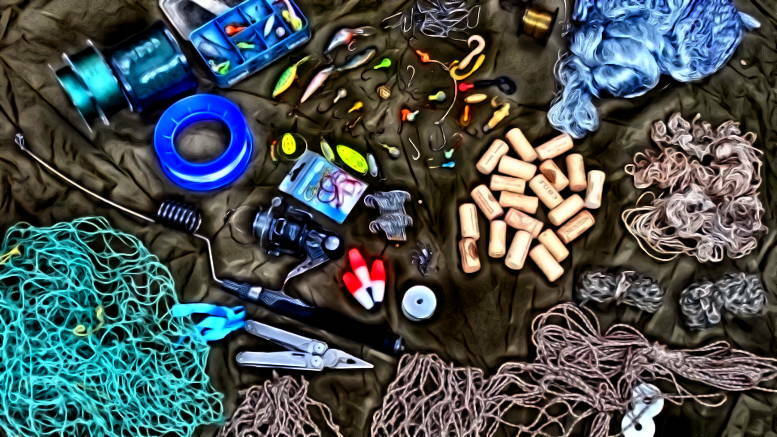 Signaling, hunting, and preserving your natural night vision (and of people around you), are some of the uses for headlamps of different colors. Red light is the hardest light to see because it is close to the edge of our visible spectrum, that’s why infrared light (infra = beyond) is invisible to us. This makes red light great for hunting and evasion. The military uses red light because it is the color that is less visible at a distance. Some animals have less sensitivity to red light, so they are less likely to be spooked by it. Blue is useful for tracking wounded animals, because it makes blood stand out. Green light is the light that appears the brightest, because we are more sensible to it. We can distinguish more shades of green and see it from a greater distance. Night vision devices display shades of green because we can see with a higher definition than if they used shades of white/grey or red. Green light is the best color for preserving you night vision (at very low brightness). An advantage of colored light is that when it is very very dim, and your eyes have adapted to the dark (which takes about 30 min), it will appear white. This is useful when you want to preserve your night vision, because the moment you start seeing the color of your light, you’ll know that you are inhibiting your night vision. Another advantage is that colored light seems to attract less bugs. White light is great for seeing in true colors, this comes in handy when reading a map that has different colored features. Thanks to Murphy’s law and past experiences, I only buy waterproof gear. IPX7 or IPX8 are the only waterproof standards that I trust. These mean that the device can stay submerged for at least 30 min under 1m of water. Nowadays even the newest smartphones are waterproof, so I don’t see why my survival headlamp wouldn’t be waterproof as well. I use my headlamp often, and I don’t want to buy batteries all the time, so I like rechargeable headlamps. There is just one thing, I want to have the option of using regular batteries as well. This is because I might not be able to recharge them or they might malfunction. Electricity could be down or it could be too clouded for my solar charger to work. 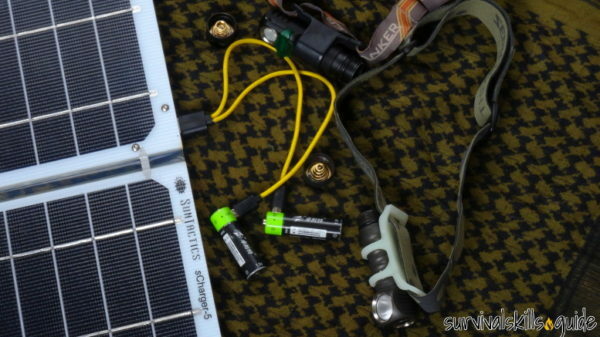 Not many headlamps can operate on both proprietary rechargeable batteries and regular AA or AAAs. The best workaround I’ve found is to use rechargeable batteries. But battery chargers are bulky, and I want to keep it simple. I use USB rechargeable batteries; they can be plugged straight to a USB cable and charged using any USB charger. AAA and AA batteries are the most widespread batteries in the world. The AAA battery is shorter and smaller than the AA but has the same voltage; they also have roughly the same energy to weight ratio. The lightest headlamp would run on a single AAA battery. There are two drawbacks with that though, less energy capacity means less run time and more batteries to carry. 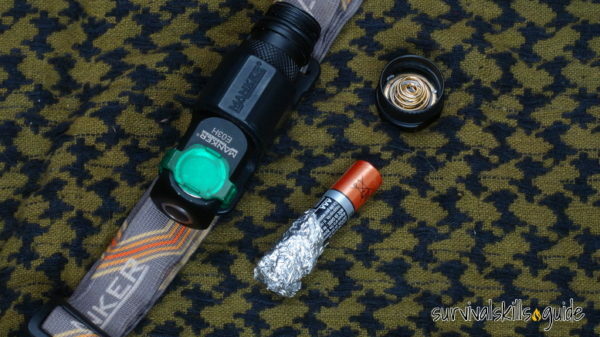 In the remote case that you have to scavenge for batteries in an emergency, a AA headlamp can also work with AAA batteries with an AAA->AA adaptor (or aluminum foil), whereas a AAA headlamp can’t use AA batteries. Single battery headlamps are the best. You can fully drain a single battery. When using two or three batteries, chances are they won’t be used up evenly. It’s always a pain to figure out which batteries are out and which ones still work. Headlamps that only use a single battery eliminate these problems. In cold temperatures being able to use my headlamp without taking my gloves off is important. So the on and off button should be accessible. Something that happens often with headlamps is that if you pack it with its batteries on, it can be turned on by accident inside your pack and drain the batteries. You can take the batteries off your light and put them on once you’ll start using the headlamp to avoid this. This works, but is inconvenient in multi-day travel. Having either a digital lock or being able to unscrew the battery cap so that the light won’t turn on accidentally, is a feature to look for. Most lamps are fairly durable to drops but metal headlamps seem to exceed in this aspect. The best headlamp that fulfills my requirements is the Zebralight H53F. 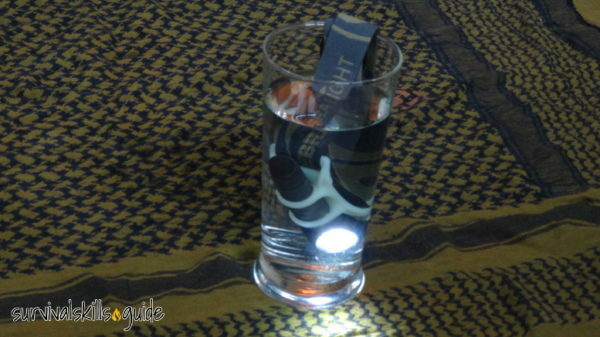 It’s waterproof, made of metal, has low light settings, uses a single AA battery. It can be used as a flashlight or headlamp. Unfortunately there is no additional red setting or filter, but there are lights in red and white. A cool feature is the glow in the dark strap that can be bought separately. But quality comes at a cost. Zebralights are not cheap. 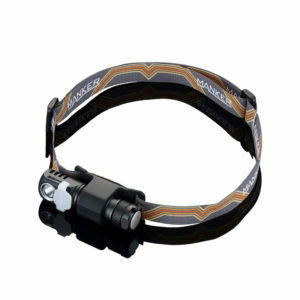 The Manker E03H is a very affordable and great headlamp. 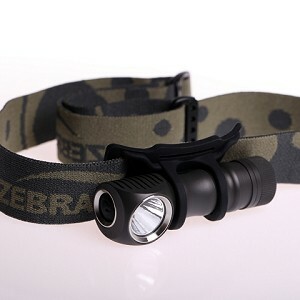 It is very similar to the Zebralight. It has an adjustable low light (moonlight) setting and it’s very easy to use. A unique feature not found in other lights, is that it comes with flood filters in white, red and green. I use the green filter all the time and I just slide it when I need white light. The magnet at the bottom can be handy when using it as a flashlight. I’ve had problems with the switch sticking momentarily, but after a while it fixed itself. I also submerged it and some drops of water got inside but the lamp still works perfectly. It’s not bombproof, but I would still recommend it, plus the price is right. Something that sets the ThruNite TH20 apart is that it has a variable dimming feature allowing you to adjust the brightness anywhere from the lowest to highest setting. 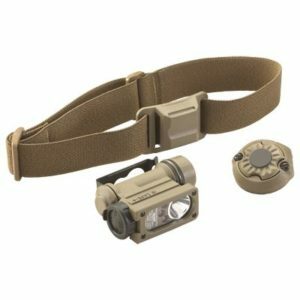 This is another great headlamp option for your bug out bag. The HL23 similar to the ThruNite. It is not as bright and adjustable though. A flaw in design I noticed is that the modes cycle from high to low, which instantly ruins your night vision. I like that the HL23 has the led light in the center of the lamp rather than the end. The Armytek Tiara A1 is another popular choice if you want a versatile and dependable light for emergencies. It has very useful features like super low and super high brightness settings, but because it is higher quality, it’s not as affordable. The Sidewinde Compact II compact is great for people that want the ability to have different colored light for specific tasks and even infra-red light for use with night vision technology. It is easy to use with gloves and is built for heavy duty use. 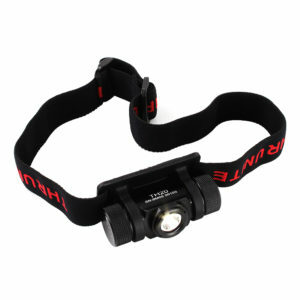 The Klarus H1A is made of titanium and like all the other headlamps for survival above, it uses only one AA battery. 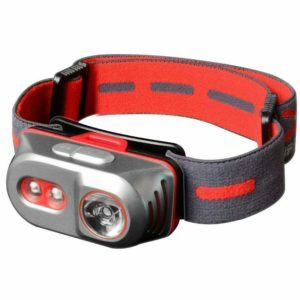 Something that sets apart this headlamp is that it includes a AA USB rechargeable battery and has a red light function. This headlamp is the most expensive of all, which is why I didn’t put it at the top of the list. It seems pretty handy though. I recommend the ThruNite TH20 as the best all around option that is affordable and reliable. 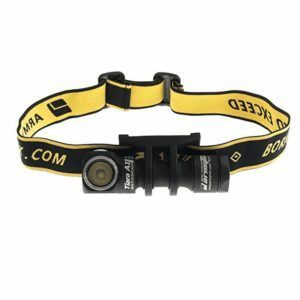 The best headlamp for survival out there is the Zebralight H53F; although it is more expensive. Couple it with USB rechargeable batteries and you’re set. 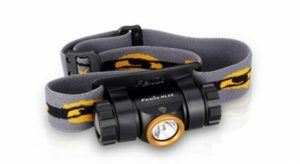 Be the first to comment on "Best Headlamps for Survival and Prepping"